Lolz. We don’t like change, do we? 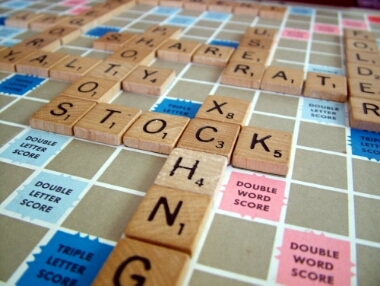 Thousands of new words have been added to the new Scrabble dictionary and their inclusion has predictably caused consternation among many fans. The arrival of LOLZ, DENCH, WUZ and SHIZZLE to name but four has drawn howls of protest from some – which, to my mind, is simultaneously inevitable and baffling. The inevitability speaks to an innate fear of change that many people consistently struggle to cope with. We get used to get things and sit in our proverbial comfort zone – and when this is disrupted it takes us different lengths of time to adjust. Unfortunately many of us don’t adjust quickly enough to avoid being painted as a stick-in-the-mud reactionary by gleeful headline writers. My confusion surrounds the general nature of legitimate Scrabble words anyway. I find it tough to understand why players of a game who routinely use words like ZORI (a Japanese straw sandal in case you’re wondering) or PYX (a small receptacle used in the Catholic church) are annoyed by THANX or CAZH – neither of which are any less weird and nowhere near as obscure. Many of the two- and three-letter words that competitive Scrabblers use are so arcane that they may as well be modern slang. Indeed, the reason they’re annoyed isn’t the legitimacy of these words, rather that they have to go back to the books and remember whether GRRR has two or three letter Rs in it.